If any of you have been following my blog, then you've read my struggles with trying to find a moisturizer for my dry face. I find a lot might work for a day and then stop. I've found that some just make my face feel greasy and not actually feel relief from tightness. 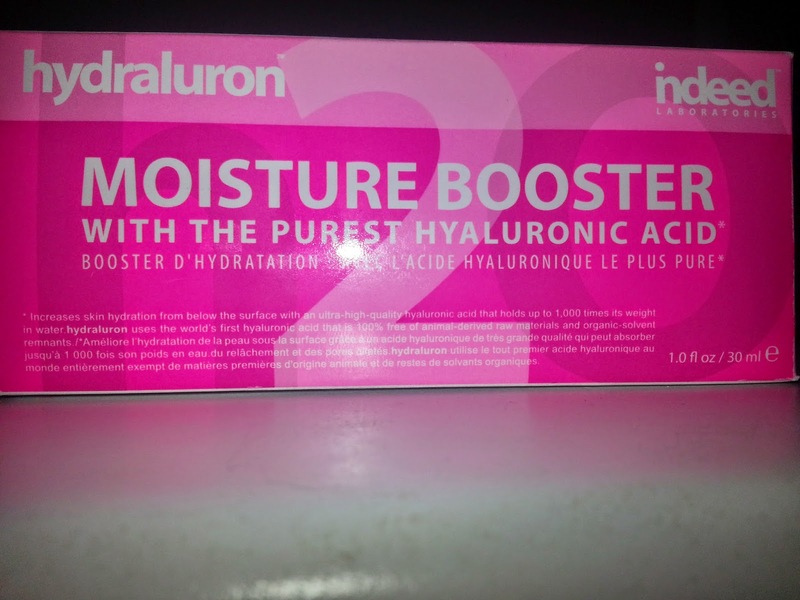 I kept seeing hyaluronic acid pop up online, and never really thought about it, until I realized that one of the ingredients from my holy grail Shiseido moisturizer is "Super Bio Hyaluronic Acid"... now I'm sure that's just their fancier version of hyaluronic acid, but I knew I just had to try it. I recalled seeing this advertised probably a year ago in a Shoppers Drug Mart flyer, and I wanted to try it then. I figured it would be super expensive and just never went in to look for it. Well this winter my skin just didn't feel relief, ever. I had some points I could use, so I finally splurged and picked this up. It was on sale for $20.99, a little more than what I wanted to spend, but with some points it only ended up costing me $13. I thought if it works, then I will try another brand from Amazon, with a lower price tag, and hopefully bigger quantity. After doing my research, a lot of people recommended to use this as a serum, after washing your face. And to apply it while your face is still damp. Let it soak in, and then the package says to put a good quality moisturizer over top. It's been about a month since I picked this up and I've been using it every day. I have to say that my face definitely doesn't feel as tight as it was before. I did get some break outs on my cheeks, which I rarely get, so I cut back to using this only at night. I haven't been using a good quality moisturizer because I don't really have any at the moment, so it could have an impact on what I'm about to say next. While my skin internally no longer feels dry, tight, or just uncomfortable, it still has some flakes! I don't understand how... lol. BUT my skin feels so much better than what it did before. I was trying cetaphil moisturizing cream but that just rolls off my face, it doesn't matter how little, how much, if I tap or rub. It just doesn't agree with me. I then tried a vitamin E cream, and it doesn't seem to be thick enough for my flakies. I've decided to use Nivea cream now, and while it's thicker, we'll see how it reacts. 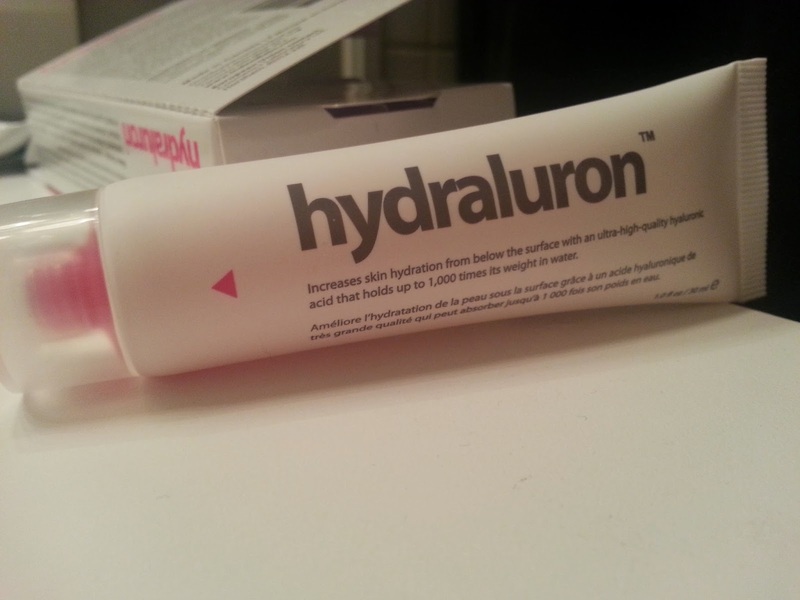 I would repurchase Hyaluronic Acid again just because my skin feels so much better, but I think I would try a different brand, or possibly another cream with it as an ingredient. I haven't seen any other improvements like fine lines plumping, or my dark circles diminishing... but I've fought with dry and tight feeling skin for so long, its a much welcomed relief!